Our commitment to improving the human condition wouldn’t be complete without a commitment to the communities we serve and the planet we live on. Through both institute-level efforts and the volunteer passions of staff members, RTI takes action to make the world a better place. We take a grassroots approach to philanthropy, basing our charitable giving on a program driven by employee nominations. We focus on supporting organizations that provide direct services to people in need in the communities where we live and work. When disaster strikes, even if it’s far from our headquarters, our staff members routinely open their hearts and pocketbooks to support Red Cross relief drives. RTI is a proud supporter of United Way of the Greater Triangle as well as United Way agencies serving each of our U.S. regional office locations. Our efforts over the years have earned us multiple awards, including the United Way Spirit of North Carolina Award and the United Way of the Greater Triangle Chairman’s Award for Employee Education and Volunteerism. We are also a longstanding sponsor of North Carolina’s public television station. 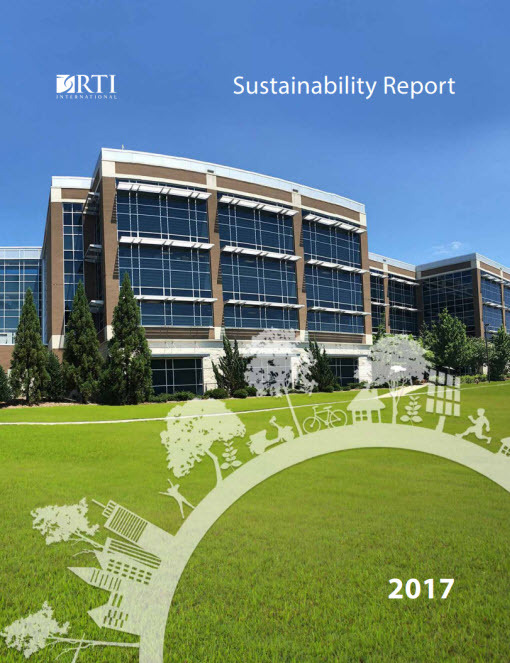 RTI has both the conviction and the technical expertise to be a role model for sustainability and environmental responsibility. We strive to minimize our use of natural resources and encourage employees and partners to do the same. It’s simply the right thing to do.